Home News Should I take the IELTS or the TOEIC exam? English learners are often required to pass standardised exams in order to be accepted onto a university course in which English is used or to get a promotion at work. Two of the most popular exams taken by learners of English today are the IELTS and TOEIC exams. All of these exams are designed to assess your level of English in four areas; reading, writing, listening and speaking. However, there are many differences between these exams. If you are trying to decide which of these two exams you should take, you will find the following information useful. Many employers ask applicants to provide their IELTS score when applying for an English-speaking job to make sure the applicant’s level of English is sufficient for communication with international colleagues. The score can be from 1 to 9 for each of the modules, with the average given as an overall score. Most British educational institutions require a minimum score of between 5.5 and 7, to ensure that students will be able to understand the language used within their courses. However, entrance requirements can vary depending on the institution so I recommend checking with their administration directly. The IELTS exam involves a variety of accents such as British and Australian. This is particularly useful for people wishing to work or study in an English-speaking country outside of North America and Canada. While there is an Academic Version of the IELTS exam, this exam also has a General Training Version, which helps English learners prepare for daily life and work in an English-speaking country. The listening and speaking sections of the exam are the same in both versions but the reading and writing modules contain different questions. The exams for both the Academic Version and the General Training Version take 2 hours 45 minutes to complete. The listening, reading and writing modules must be taken in that order without a break. Candidates can take the speaking module at any time within a week of taking the other modules. The TOEIC exam was established in 1979 as there was demand for a standardised test for Japanese corporations to assess the English level of their employees. The exam focuses on English in the workplace and is very useful for learners who wish to work for an international corporation in any country. The TOEIC exam is now used in more than 150 countries to assess candidates for promotion and as a standardised reference for placement in English development courses. 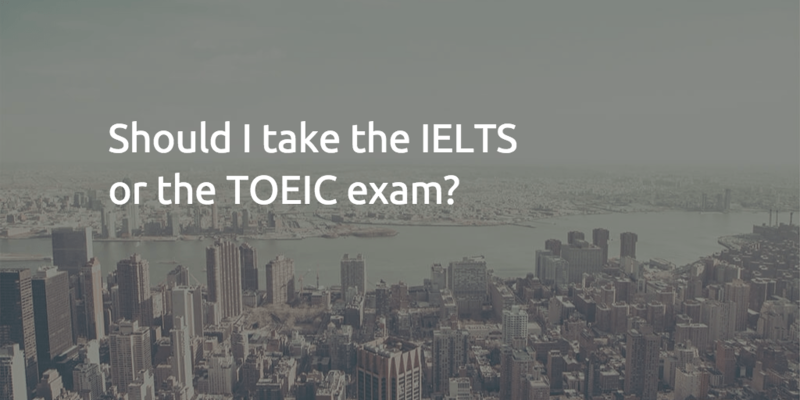 There are two TOEIC exams to choose from; Listening and Reading or Speaking and Writing. The Listening and Reading test lasts 2 1/2 hours and the Speaking and Writing test lasts 80 minutes. Both contain multiple-choice questions on a variety of topics. Students of both exams are able to find many resources online. Reading, writing and listening can be practised alone using materials that can be downloaded for free, or using any of the many textbooks that have been produced for each exam. However, for students to prepare well for the speaking parts of the exams, regular lessons with a native speaker or qualified English teacher are essential. Pronunciation, vocabulary, grammar and intonation are all important elements to achieving a high score in both the IELTS and TOEIC exams. Therefore, regular lessons will help to remove any bad habits that have been picked up from other learners and from watching films in English and help you to get a higher score in your exam. For more information on the IELTS Speaking Preparation course from Intrepid English, or to book a lesson, just go to the IELTS Speaking Preparation page of the website. If you would prefer to take the TOEIC exam, or just want some more information, please go to the TEOIC Speaking Preparation page. 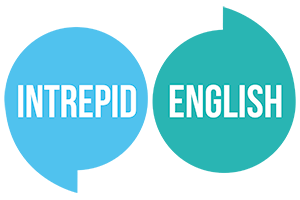 As always, if you have any questions about which exam is best for you, or you would like to arrange a free trial lesson, you can contact me here or send an email to lorraine@intrepidenglish.co.uk.